When you’re having a busy time at work a good cocktail, eating out in Harrogate and a good friendship can, pretty much, put anything right! I say busy time, I don’t think I’ve ever been busier! Work is manic with a full programme of event for the year ahead. And my blog? Well let’s just say it’s October before I have any plans to come up for air. But I thrive on being busy so who’s complaining! To get me through the next few months I know I’m going to need my friends, my business network and blogging community around me. 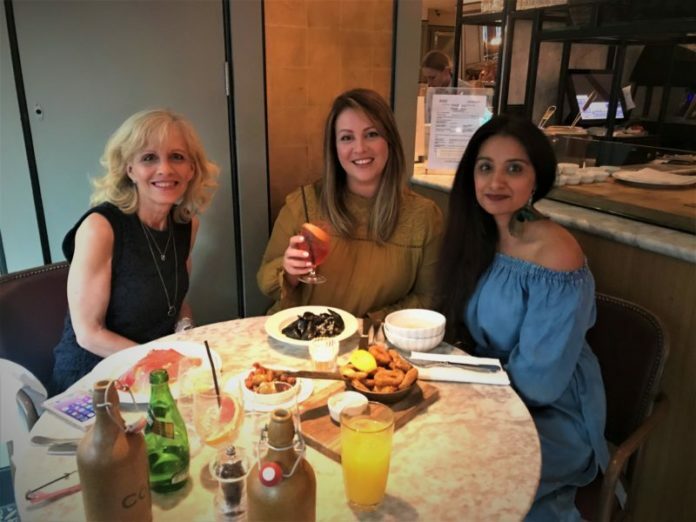 It’s been a while since I’d caught up with bloggers, A Yorkshire Girl and Northern Bindi, so I thought Côte Brasserie would be the perfect meeting place for a natter. Placed on a marble table top by a smart waiter was a sparkling glass of Pampelle Spritz (£6.95). Ah! 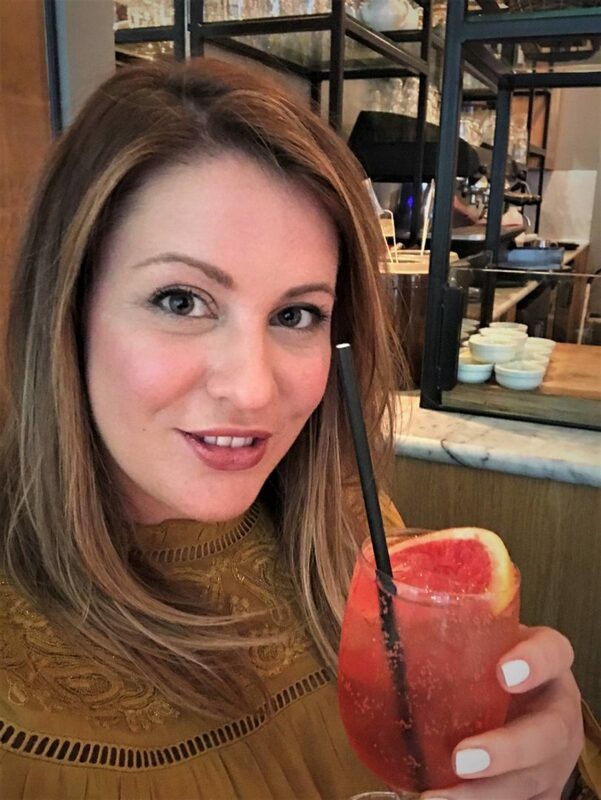 Inspired by the much-loved French culture ‘apéro’, which is combines drinks, food and friends, this summer fizz is my tipple of choice for the evening. 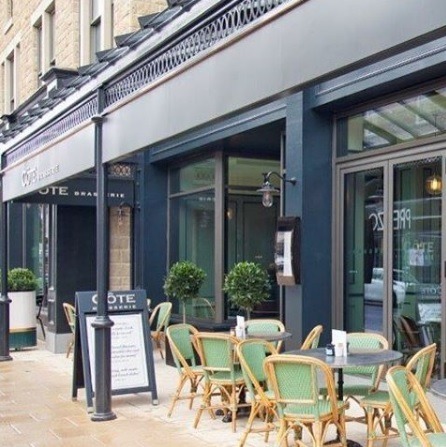 Cote opened its doors to the people of Harrogate back in 2016. Situated in the new Everyman complex Côte and the other chains surrounding it have had a hard time bedding in. We’ve seen Byron Burgers, Sprouse Moose and more recently CAU close their doors. I wonder what will become of this little corner of Harrogate? Your guess is as good as mine but Côte is still here and it’s still delivering on good food and great service. So, what’s on offer? 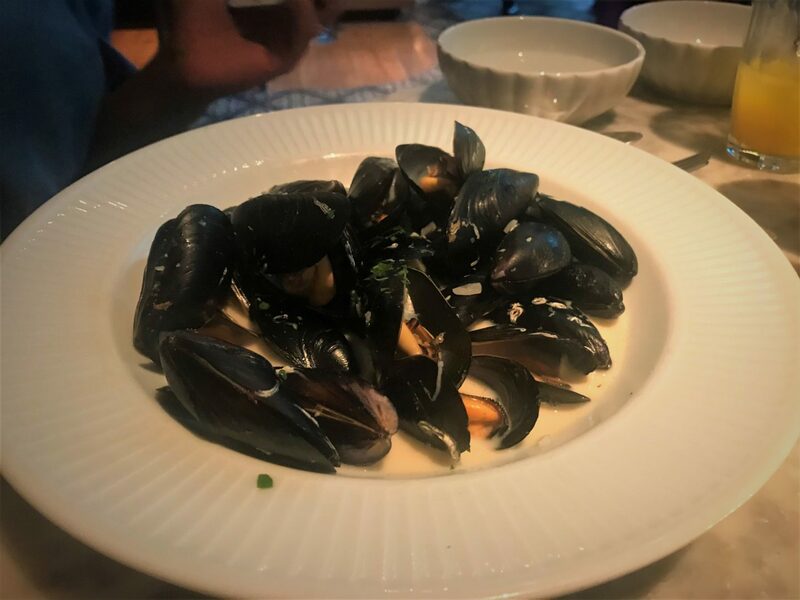 I took the Parisian root and orders a classic Moules Marinières (£6.50) to start. Although small they were the sweetest little mussels I’ve ever tasted and the sauce was rich and creamy too. It was such a lovely evening, the restaurant had opened up the front and it felt like we were dining in the Côte d’Azur, or so I wished! The company of Susanna and Raj soon made the worries and stresses of my working week melt away and we were laughing and giggling about blogging blunders! For main, I ordered the juiciest 10oz sirloin steak with a truffle hollandaise sauce (£10.95). Côte certainly know how to season and cook a steak – perfectly pink with delicious carameised grill marks and a good coating of cracked black pepper! 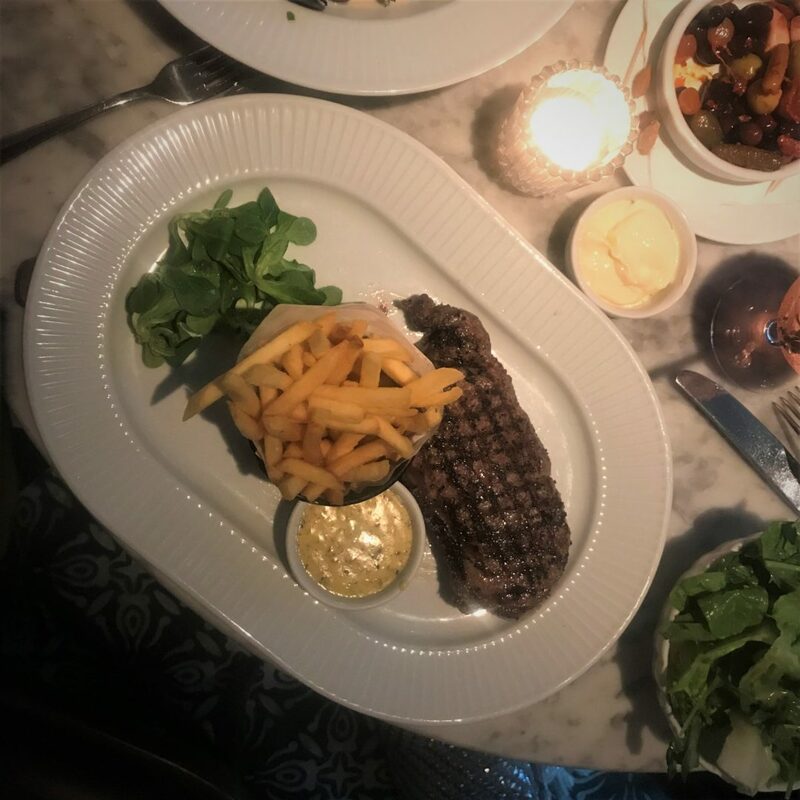 The Hollandaise sauce, infused with truffle was a new one on me and it worked so well with the red meat and skinny fries. 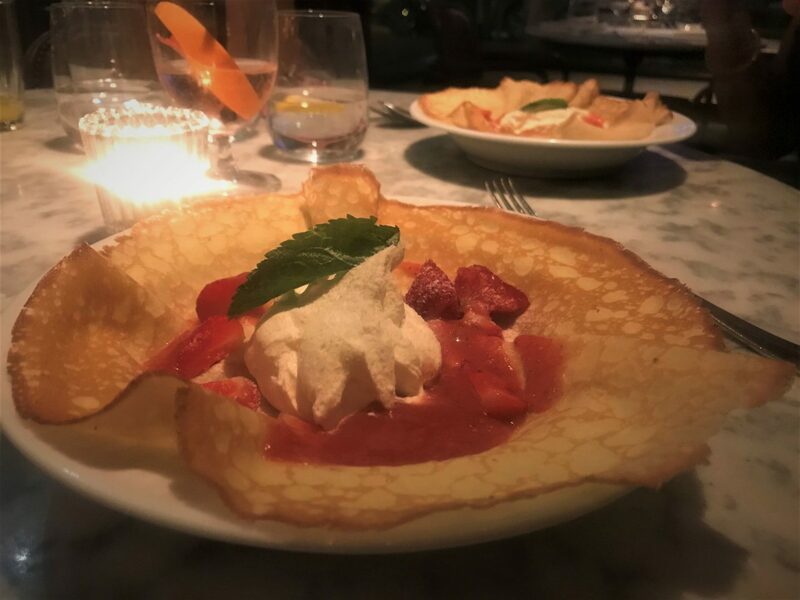 Finally us girls decided to order three of Côte specialty dessert – Crepe Chantelly (£5.95) – the sweet strawberries were covered in a sharp strawberry jus and topped with a sweet Chantelly cream. Crepes are a fabulous way to end a meal as they aren’t as heavey as other desserts and this one was the essence of summer! It’s strange but the website doesn’t include prices. I’m guessing so they can charge differently depending on location but I think it would put people off visiting if they couldn’t find out prices or offers. 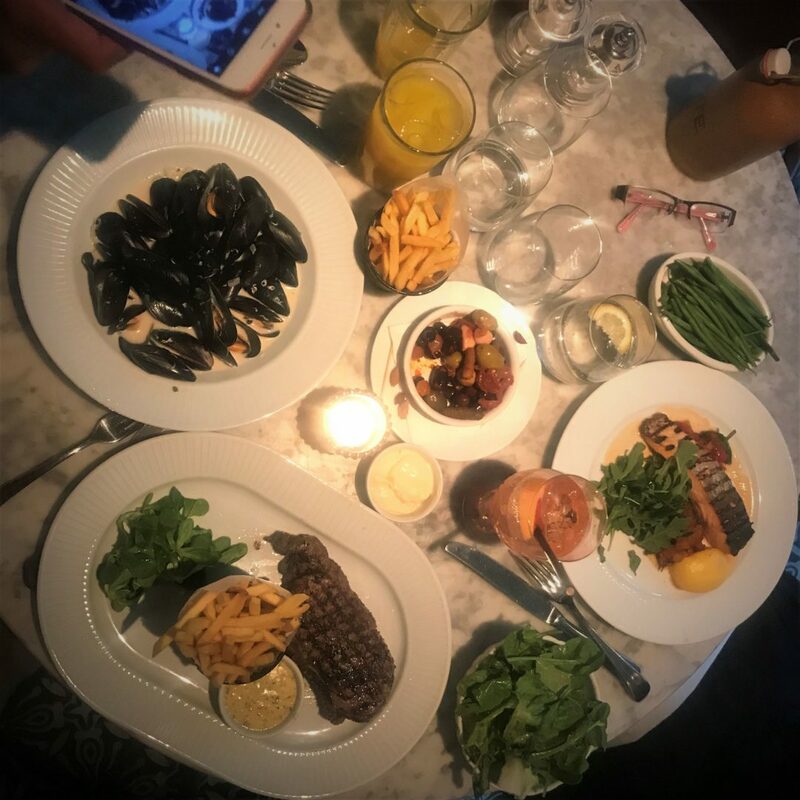 So, I thought it is worth saying Côte offer a set lunch and early evening menu which gives you the choice of two courses for £10.95 or three course for £13.50. Côte, I know you are consistently great, I hear it from my friends who go to you on a regular basis. So it’s nice to know when I write about great service, it will be great for anyone and everyone who visits you. Good service is key to a successful restaurant, and your freindly staff, who look the part, were always on hand to help – keep it up! 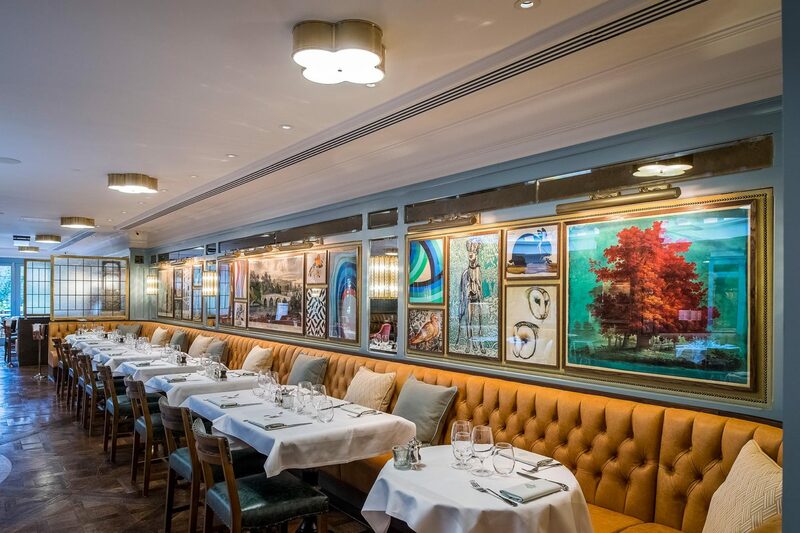 Côte pride themselves on understated French elegance and their interior certainly delivers but is it too understated for the restaurant to make dining with them a memorable one? Let’s compare it to the bold interior quirks of The Ivy, I’d say the food is of equal standard to the offering at The Ivy but I know which one I would remember. Côte, maybe it’s time to take it up a notch or two, be brave, be bold, and be remembered! I have to say my night was an absolute hoot. Raj (Northern Bindi) and Susanna (A Yorkshire Girl) are so much fun. By the end of the night my cheeks were hurting from all the laughter – just what The Harrogate Girl needed – thanks girls! P.S. 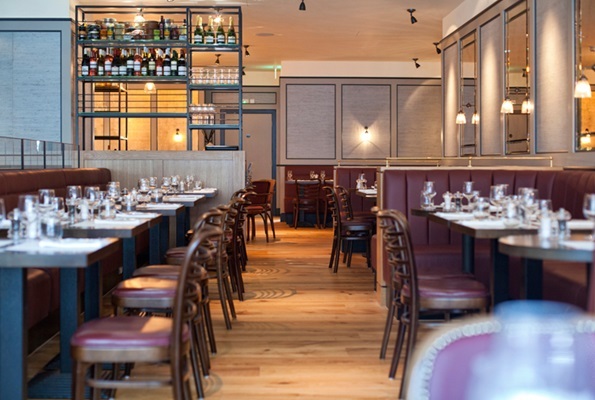 We were invited by Côte to review the Harrogate restaurant in exchange for promotion. 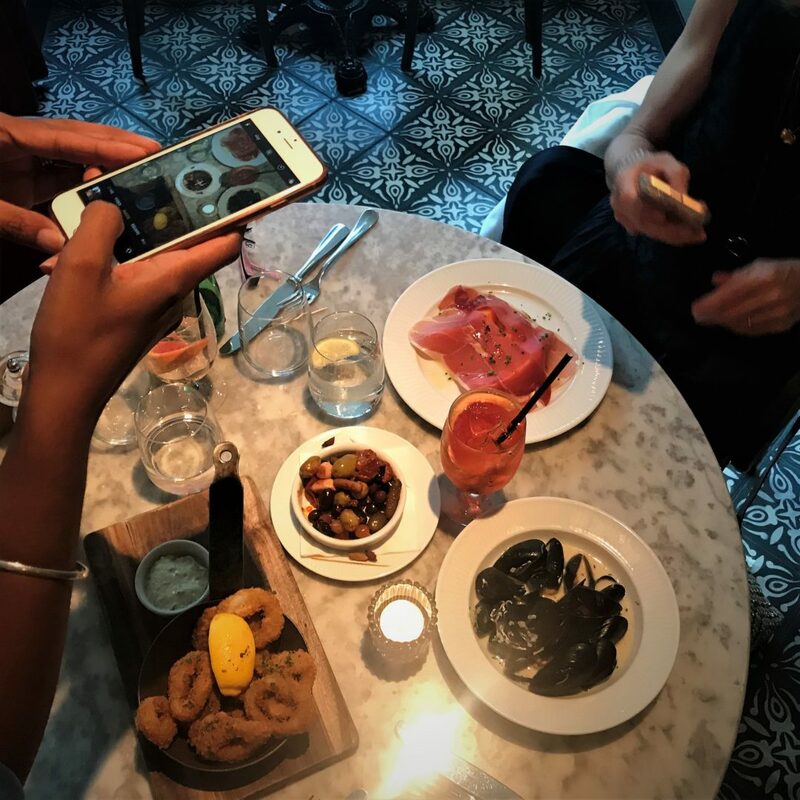 I am a keen supporter of all restaurants in Harrogate, chains or independents, because together they create a fantastic offering to suit all budgets, eating habits and needs. Previous articleMy thoughts on the last six months….